INDIANAPOLIS (AP) — Carsen Edwards scored 27 points and Grady Eifert added a season-high 16 as No. 15 Purdue rebounded from a lackluster first half Saturday night to pull away for an 81-62 victory over Nebraska. Ryan Cline started it with a 3-pointer. Eifert’s steal which led to Nojel Eastern’s layup and Eifert and Cline capped the 11-3 run with 3s that gave Purdue a 50-38 lead with 13:41 left. Nebraska only got as close as eight the rest of the way. But the game sure didn’t follow the expected script. 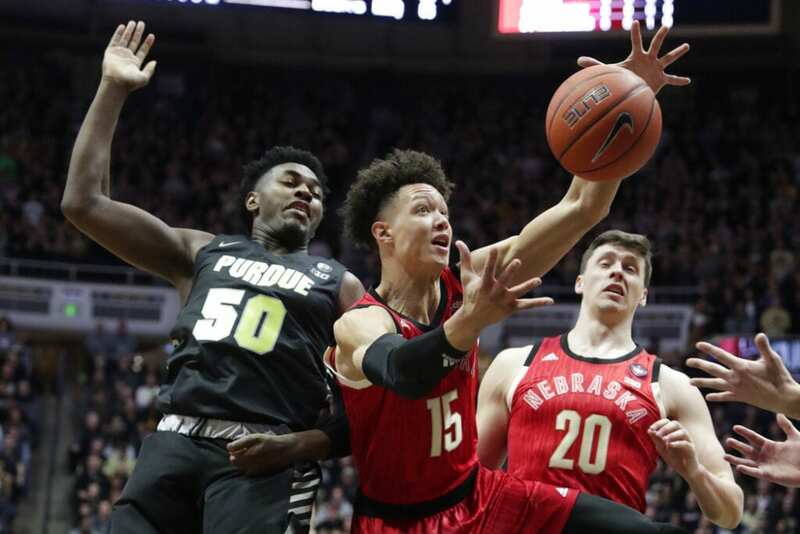 After going nearly a full week between games, the Boilermakers looked sluggish early and the Cornhuskers took advantage. When Palmer knocked down a 3-pointer with 7 minutes left in the first half, Nebraska led 25-21 with 7 minutes to go. That’s when Purdue cranked up the defensive intensity. It allowed just one basket the rest of the half, got a few baskets in transition and closed the half on an 8-3 run to take a 33-31 halftime lead. Nebraska: Clearly, the Cornhuskers aren’t the same without Copeland — and their tailspin in his absence shows no sign of abating. Yes, they played hard and managed to hang around against a Big Ten contender Saturday. But when the Boilermakers started making baskets, the Cornhuskers simply couldn’t keep up. Purdue: The Boilermakers have been unbeatable at home this season. But on Saturday, they showed the crowd something else — they can win with grit. Purdue escaped the early struggles by doing the things it has traditionally done best under coach Matt Painter — defend, hustle and find open shooters. It should be enough to keep them climbing in the poll. Nebraska: Glynn Watson Jr. scored four points after being shut out for the first time since his freshman season Wednesday at Maryland. … The Cornhuskers had eight turnovers but were outrebounded 39-24. … Nebraska is 0-7 all-time at Mackey Arena and has lost five of the last six in the series. … Nebraska shot 38.2 percent from the field. Purdue: Eifert also had seven rebounds and a career-high four steals while Eastern matched his season-high with 12 points. … Eastern also grabbed 10 rebounds. … Purdue’s 10-2 mark in conference play is tied for the fifth-best in school history. … Painter won his 312th game and needs four more to move into the top 10 in Big Ten history. Be the first to comment on "No. 15 Purdue Beats ‘Huskers 81-62 For 8th Straight Win"